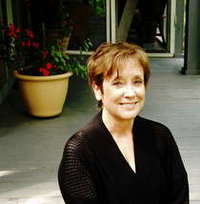 Jeanne Mackin is the author of The Beautiful American and A Lady of Good Family. In addition to several other novels as well as short fiction and creative nonfiction, she is the author of the Cornell Book of Herbs and Edible Flowers and co-editor of The Norton Book of Love. She lives with her husband in upstate New York. We’d love your help. Let us know what’s wrong with this preview of The Beautiful American by Jeanne Mackin. This is one of the most intriguing - and terrifying - chapters in American history I've read. The Osage native Americans were once the wealthiest people, per capita, on the face of the earth, because of the mineral rights for their land. But then the This is one of the most intriguing - and terrifying - chapters in American history I've read. The Osage native Americans were once the wealthiest people, per capita, on the face of the earth, because of the mineral rights for their land. But then their white neighbors, with the help of Washington, D.C., found ways to cheat them out of the wealth; and when cheating and stealing was too slow, they resorted to murder. We’d love your help. Let us know what’s wrong with this preview of The Address by Fiona Davis. We’d love your help. Let us know what’s wrong with this preview of The Dollhouse by Fiona Davis.